Hydropower is the leading renewable source for electricity generation globally, supplying 71% of the renewable electricity and generating nearly 20% of the electricity from all type of sources. Hydroenergy Association profiles the world’s ten biggest hydroelectric power production facilities based on installed capacity. The Three Gorges hydroelectric power plant (HPP) is the world’s largest hydropower complex project, located in one of the three gorges of the Yangtze River in China with installed capacity of 22 500 MW. The power plant consist of 32 turbines of 700 MW each and two 50 MW power generators. Annual power output of the plant is estimated at 85 TWh. The generated power is supplied to nine provinces and two cities, including Shanghai. The Itaipu hydroelectric power plant is the world’s second largest HPP, located at the Brazilian-Paraguanian border with an installed capacity of 14 000 MW. 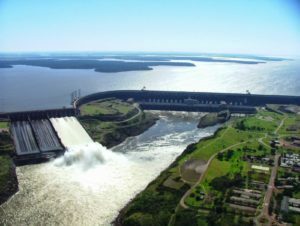 Each year Itaipu generates 70 TWh of electricity, supplies about 17% of Brazil’s energy consumption, 72% of the energy consumed in Paraguay and avoids 67.5 million tons of carbondioxide emissions. The Guri power project ranks as the world’s third biggest hydroelectric power station with an installed capacity of 10 200 MW. The Venezuelan facility is located on the Caroni River in the Bolivar State of southeastern Venezuela. The plant provides 12 900 GWh of energy to the country which means around 70% of the country’s energy needs are met by the Guri power plant. 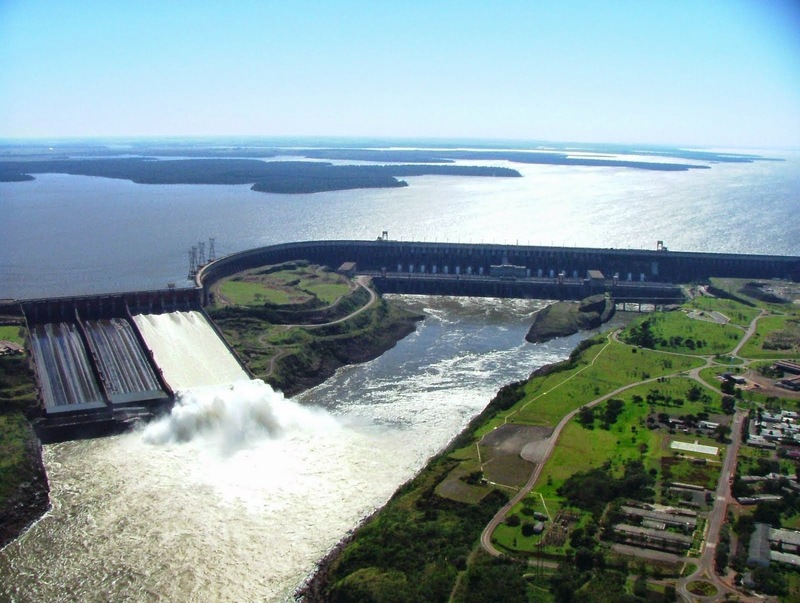 Almost 80% of the energy generated in Brazil and consumed domestically origins from hydro power plants. The 8 370 MW Tucurui power plant in Tucurui, Para, Brazil is the fourth largest hydroelectric power plant in the world. The Grand Coulee hydropower project is currently the world’s fifth biggest HPP, located on the Columbia River in Washington,US with an installed capacity of 6 809 MW. The Grand Coulee hydropower station consist of three power plants commissioned between 1976 and 1980. The Hydroelectric power plant produces approximately 35% of the total renewable electricity in the US and 6.1% of the total electricity in the country. The Sayano-Shushenskaya HPP, located on the Yenisei River in Khakassia, Russia, ranks as the sixth biggest hydroelectric power station worldwide. The power facility, operated by RusHydro, has an installed capacity of 6 400 MW. It generates 23.5 TWh of energy annually. The plant was shut down in 2009 following an accident which caused damage to nine of ten turbines. The replacement of the damaged turbines took over 5 years. Over 2 000 people were involved in the rescue work and liquidation of the consequences after the accident. The rebuilding of the energy rooms costed 880 million euro. The Longtan HPP, located on the Hongshui River in Tian’e Country, China, is the seventh largest hydroelectric facility in the world and the sixth biggest in Asia. The installed capacity of the plant is 6 300 MW. Construction of the power plant started in May 2007 and the project became fully operational in 2009. The annual generating capacity is estimated at 18.7 TWh. Krasnoyarsk hydroelectric power plant is currently the eight largest HPP in the world with an installed capacity of 6 000 MW. The construction of this project started in 1956 and was completed in 1972. The power plant consists of 12 generating units with a capacity of 500 MW each. The power station’s annual generating capacity is 18.4 TWh. The Robert-Bourassa generating station is a hydroelectric power plant on the La Grande River in Canada. Its 16 units were gradually commissioned between 1979 and 1981. With an installed capacity of 5 616 MW it is the largest power station owned by Hydro Quebec and the largest underground power station in the world. The Robert-Bourassa HPP is located underground about 6 km downstream of the main dam. The 5 428 MW Churchill Falls generating station, located on the Churchill River in Newfoundland, Canada, ranks as the tenth largest hydroelectric power plant in the world. This is also an underground power station and is the second-largest in Canada after the Robert-Bourassa. Currently Churchill Falls generates 1% of the North America’s hydroelectric power.